Data security and privacy has emerged as the top priority for today’s CFOs and top finance executives in corporate groups and financial institutions, according to a new survey. The trend reflects the growing anxiety over possibilities of data breaches leading to billions of dollars in losses, besides causing serious reputational damages to organizations. The finding of the survey, conducted by the global consulting firm Protiviti, is a drastic shift in the priorities of finance top honchos in corporate, banks and other financial institutions whose major challenge till a couple of years ago was listed as dealings with the changing regulatory challenges and tax related issues. The losses incurred by banks and financial institutions together globally on account of data theft and fraud are estimated to be in the region of $957 million in 2017, according to a report by Information Age. 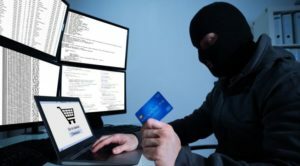 Banks and financial institutions in the Middle East as well as in India are also victims of major data theft and fraud, mainly by cybercriminals, causing huge losses to them annually, besides incurring customers wraths. As many as 74 percent of the CFOs who participated in the survey said data protection and privacy are their top priorities today. The issue is the top priority for the vast majority of organizations as well globally, with 84 percent for companies with turnover of $10 billion or above and 74 percent of corporate with turnover of $20 billion and above listing it as their top concern these days. “Companies need to be one step ahead of hackers and other cybercriminals now, with the increasing frequency in the cases of data thefts and frauds. Also, with companies increasingly using shared resources, even from remote locations, putting in place fool-proof data fraud detection tools in place have become much more important now than ever,” R Guha, CFO of Akzo Nobel India, told Arabian Business. Currently, CFOs and other top finance functionaries in organizations and financial firms are under tremendous pressure from their internal customers as more and more functions within their organizations seek access to real time data and predictive analysis about the performance and profitability of products and services. This, the survey has revealed, however, is posing major data-related security threats as large number of employees get access to sensitive data. “Each person with access to data is another source of attack, if compromised”, the survey revealed. 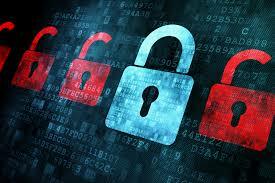 “Data security has emerged as a key issue to businesses now. With the advancement of technology, it has become more challenging as old methods like lock and key are no more useful. Companies and organizations now need advanced techniques to protect data,” said R Rajaram, a financial consultant and former CFO of ICI India. Enhanced data analytics was the second most high priority area for top finance groups or organizations and financial sector companies, as they feel that high quality and integrity data is a must for ‘improved reporting” which enables their organizational leaders to take better forward-looking decisions. Despite all the buzz about AI (artificial intelligence) and machine learning, robotic process automation (RPA) in financial functions figure among the lowest priorities of CFOs and senior finance executives even now. “RPA is a bit of a moving target for finance groups today. Only one out of five CFOs and finance leaders view the use of RPA to be a top priority area in the next 12 month-period, while more than 2 out of 5 think this will be a low priority area,” the survey said. Significantly, virtual currencies and crypto currencies are still a strict no-no for top finance honchos as a strong majority of organizations – more than 8 out of 10, “are not using, interested in using or investing in virtual currencies, nor are they being pressured by their employees, customers or suppliers or partners to use virtual currencies,” the survey added.